Cannabis concentrates are very popular among chiefers especially those who have been smoking for a longer time. More inexperienced smokers will often avoid smoking concentrates as there are really really potent. We can say, without any fear that we might be wrong, that concentrates are way more stronger than any cannabis flower grown, indoor or outdoor! To smoke concentrates and feel great, you will simply have to possess a good level of tolerance to handle dabs. Now, before entering into the discussion called concentrate vs flower, we will explain some basic things you need to understand before we proceed further. Concentrate vs flower – what is what? All cannabis concentrates are classified by their names. For example, you have strains of weed (White Widow, OG Kush, Purple Haze etc…) that you can pretty much classify by their names since it is all about the genetics. The concentrates are usually classified by their way of production., while extracts basically do not involve any complex chemical process but rather are made by a simple physical separation, to be blunt. 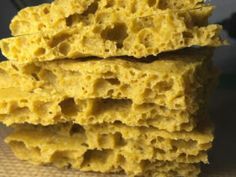 The famous concentrate is of course wax, which is the extremely potent product of cannabis and all novice smokers out there should be careful with this stuff. a concentrate. The main difference comes from the extraction method. If you use water for extraction instead of solvents, you are getting hash oil. 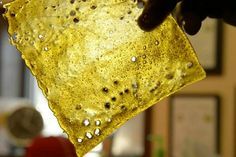 Extracts that are made using heat are called rosin. We can go like this for another hour, but the point is that the different people use different methods for making concentrates and extracts. Some people like the more oily product so they make hash oil, while some that like more consistent form will opt for shatter for example. Flower of cannabis, depending on the genetics and conditions which the plant was grown in, can be very potent, with THC level of up to 25%. Some of the strongest sativas are Durban Poison strain which has a powerful headhigh for example. While these THC levels can go even above the mentioned value, it is simply not possible to achieve anything over 40% with the flowers. The concentrates are, on the other hand, way more potent, reaching the THC level up to 99%! 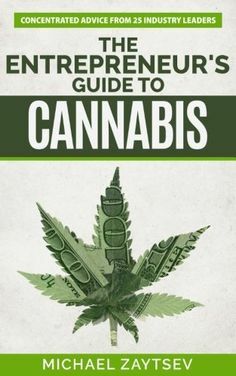 Of course, it all greatly depends on the percentage of CBD, which is easier to handle especially for newbie smokers. THC is a strong psychoactive substance that in high dosage can cause paranoia, sweating, fever-like feeling or a strong feeling of being spaced-out, and therefore inexperienced smokers throw into own fight inside the head. The flowers usually have skunky smell and hay-like taste and that is what makes our favorite smell so distinguished. Concentrates have similar smell, though only when smoked, but the overall intensity of smell is almost unnoticeable. You can smoke it in the room and you will not feel any smoke after 5 minutes you finish with the dabbing. Concentrates can have that dank smell, but nothing like a cannabis dry flower. It is not so hard to answer this question as we have explained a few things about the concentrates. They are indisputably more potent than regular dry cannabis flowers and the effects last much longer. Another great thing is that they are almost smell-proof, especially when they are stored in bags/containers. A real incognito! Still, their price can a bit higher when compared to flowers and they do require some equipment to consume them properly. Whatever you choose, enjoy your high!